CONTEST CLOSED! THANKS EVERYONE. REALLY FUN COMMENTS. The Bastyr University Bookstore has agreed to giveaway this bestseller to one of our subscribers ! 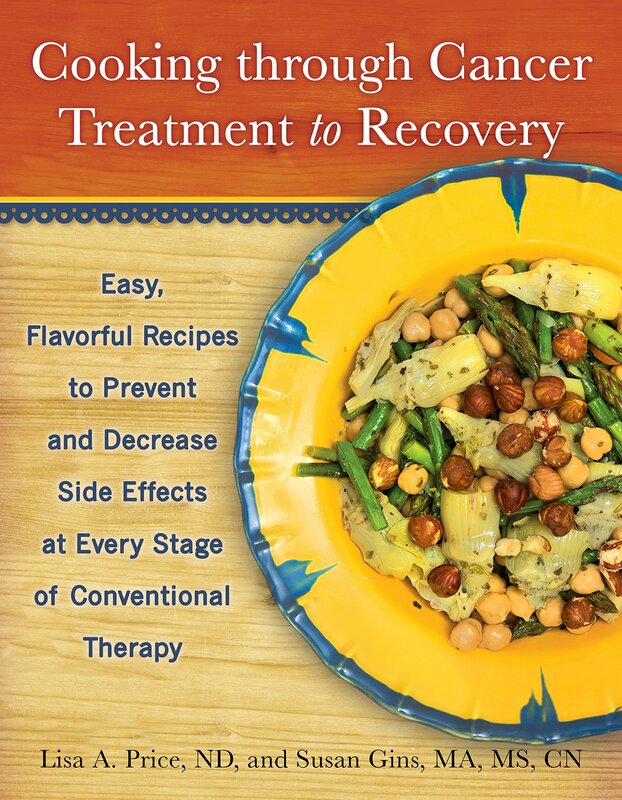 And we’re recommending it as a textbook for the Culinary Program at Bastyr! The information is amazing, the DRAWINGS educational and delightful! 3. What’s the best detail of cooking advice you were taught as a child? I would have to say shaking chicken parts in a paper bag with flour, salt and pepper to prepare for frying. I don’t think I have made fried chicken since then (I was 12) but I remember the tip! Okay. YOUR TURN. Type your answer as a comment to this post. 4. Contest ends at 5 pm on February 15th. PLEASE check your email on February 16th. The junk mail folder and everything. We’ve been having some trouble with lost emails to winners. The winners will be chosen by random.org. If you don’t respond to your “winner” email within 48 hours, we will choose a new winner (tough love…). When visitors come to town, we tend to take them to some of our remarkable Seattle restaurants that feature ethnic cuisines. One of our favorites is Revel, which features Korean fusion food – think noodles, dumplings, pickles, pancakes, and barbecue. Chef Rachel Yang and her husband Seif Chirchi are the owners and orchestra-tors of Revel and three other equally popular restaurants. Join us in celebrating (hooray!) 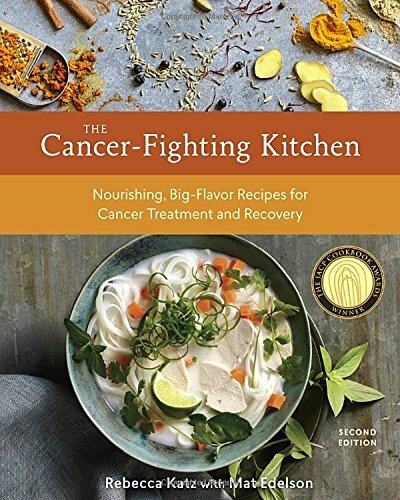 this new edition of Rebecca Katz’s The Cancer-Fighting Kitchen. Homemade gift! Encourages stress relief. Terribly easy to make. Lavender for relaxation. Bergamot (the unique flavor in Earl Grey Tea) is both relaxing and uplifting. Combine salts, soda and clay in a large bowl and mix until even. Add oils a few drops at a time, spreading the drops throughout. Mix again. Put salts in clean glass jars. Use anywhere from 1/2-3/4 cup per bath. *aka China clay, ceramic clay, kaolin clay. Used in the mix to keep salts from sweating and clumping. The Bastyr University Bookstore has offered up this fabulous newbie! 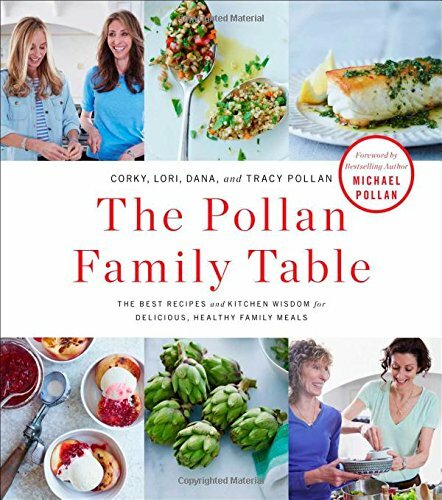 The Bastyr University Bookstore has offered up this gorgeous, fully illustrated collection of recipes, cooking techniques, and pantry wisdom for delicious, healthy, and harmonious family meals from the incredible Pollan family—with a foreword from Michael Pollan for our June giveaway. 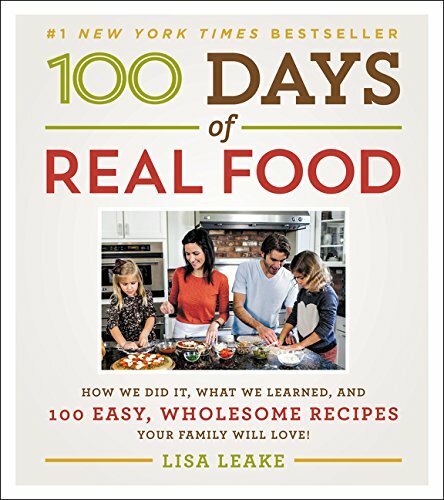 Rebecca Katz, chef and author extraordinaire, wrangled the hotel chefs in Phoenix into feeding participants fantastic whole foods meals and snacks at the recent 2015 annual Health and Nutrition Conference. No easy task. I was there. Her recipes are yum. Despite her pixie size, she’s can do some heavy lifting. Spring cleaning, inside and out, can lead to the desire for greens glorious greens. And I know I have a tendency to lean toward those three easy salad dressings that I make all the time. You too? Well this charming little book is for you. 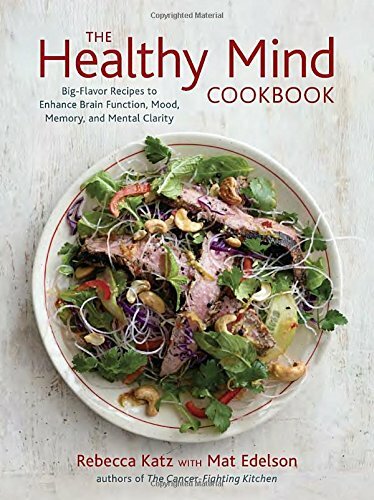 Jeff Keys’ focus on simplicity, variety, and seasonal ingredients combined with the ease of flipping through this cookbook makes creating homemade salad dressings easy and satisfying. Top your favorite greens with Honey-Roasted Raspberry Vinaigrette or give your salad a toss with a dressing that has an international flavor such as Simple Spanish Sherry Vinaigrette or Asian Ginger-Lime Vinaigrette. If you are feeling like a slaw, try Caribbean Slaw Dressing, or if a creamy dressing sounds tempting, Creamy Lemon, Fresh Tarragon, and Pink Peppercorn Dressing might fit the bill.